Launched in 2016, Instant Games on Messenger was the logical next step for social media platform giant Facebook. After the success of the desktop platform years before there was an increase in consumers need for everything to be mobile, included gaming options. The mobile version allows users to play, albeit some retro titled games, in the messenger app on their phone. It launches within a few seconds and you have the option to play against friends or random Facebook strangers. After each game your high score is placed on the leader board for all to see, and players have the option to share their high scores on their Facebook pages. This means that players can challenge their friends and compete whenever they have a free moment. This same option is now available for those who enjoy a good gamble. Social gambling is exactly that, gambling socially on social platforms like Facebook and Google+. 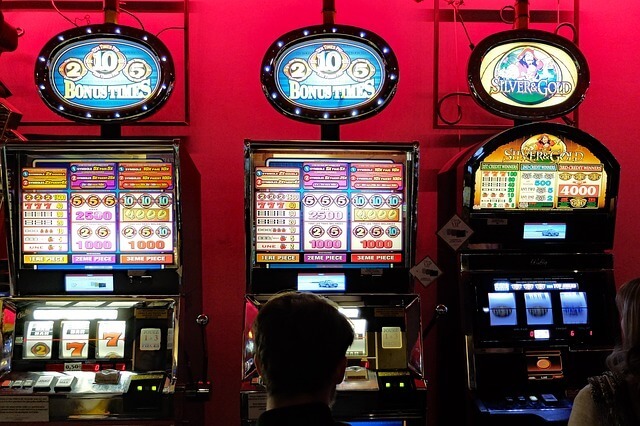 Although social gaming has built up quite a history, social casinos are still relatively new. As far as gambling goes, Facebook holds 61% of the market, with the remainder held by Google and a few others, and until 2014 all gambling apps for Facebook were free. Playing casino games on social media for real money does present issues, as each country has different laws that govern online gambling, so how do these free online gambling apps make money? By selling in game benefits or virtual goods, which are purchased using real money. Considering the size of the online gaming industry, this equates to millions. Social gambling is free, and finding genuinely free online casinos is difficult. With this platform players can play free poker, blackjack and slots, and are able to play against their friends. This allows gaming enthusiasts to practise their skills in a comfortable environment without having to pay for the privilege in losses. For some users the bragging rights are too good to pass up. The platform allows easy sharing of results amongst friends, and climbing up the leaderboard is super satisfying for those with a competitive streak. There are many options when it comes to game choice. Many of the games available on Facebook belong to independent developers. This means players could not find the games anywhere else, or on any other platform. Facebook is the largest social media platform and users have their Facebook pages open all the time. This means that they can pop into messenger anytime to play a game. Since the results can then be shared with friends, players can play against each other even when either is not available. These games are designed to run in basic browsers and developers have figured out how to incorporate them into the HTML5 code. So instead of having to use fancy browsers or apps they can run on a simple platform. This does mean that users forfeit a bit in the graphics department, but that is improving, and the aim of these social casinos is a bit of gaming fun, not an all-immersive gambling experience. For many people, gambling is still considered taboo, or is illegal in certain countries. Social gambling is considered to be entertainment as opposed to gambling, since players are not winning any money, the small amount they do spend to open new features, is equated to paying for a brew after a long day. With the social gambling industry set to grow to an estimated $5.75billion by 2019, current stats show that the average player is 39 years old, and of those using the platform 45% are women and 54% men. However, this has not included Generation Z who is able to access many of these games, as most do not have specific age legislation governing them. Much like the social gaming accessed through messenger, social gambling will cease being a solitary affair or one shared only with strangers, friends will be able to play together. There is a real shift toward legalising online gambling for real money around the world, which has its own set of advantages and disadvantages. Many online casinos are already testing the waters with real dealers to make online gambling more interactive, it is predicted that the use of VR headsets while social gambling will make for some very exciting potential in the social gambling sphere. What the experts know for sure though is that this industry will continue to boom.